​In his capacity as the rector of the Römosseskolan in Gothenburg, Waberi received profound criticism from the School Inspectorate for teachers' rough treatment of pupils and widespread harassment of girls. Furthermore, the grading system was considered arbitrary and favored boys. 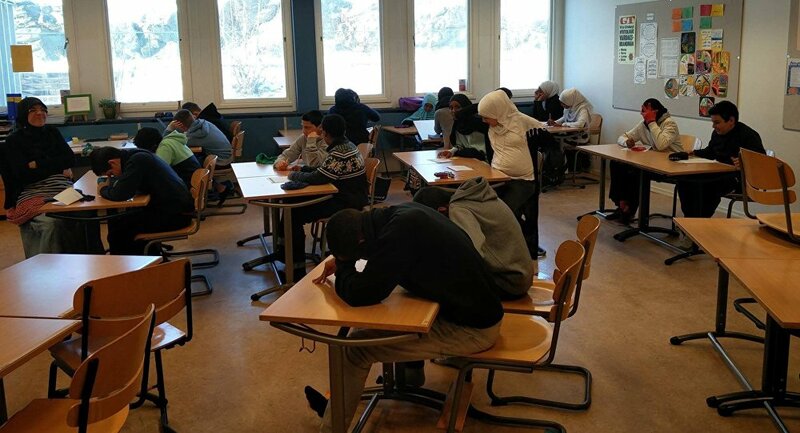 Römosseskolan, located in the blighted area of Angered, where three quarters of the population is of foreign descent, profiles itself as a Muslim school with an emphasis on Islamic education, prayers and halal diet. By Waberi's own admission, the goal is to make students feel proud of being Muslims. The Conservatives, whose motto is "A Hopeful Future for Sweden," had no qualms about Waberi representing them in parliament. During his stint as MP that stretched from 2010 to 2014, Waberi was even part of the parliamentary defense committee. The green light to the "free school" in Borås sent shockwaves through Swedish political circles. "It all boils down to two things: the fierce criticism against the school in Gothenburg and the leader's lousy view of women in that he defends domestic violence and wants to introduce Sharia law," Liberal integration spokesman Gulan Avci told the newspaper Aftonbladet. "I'm tired of people playing the Islamophobia card. We are talking about activities that risk depriving children of education in an equal environment," Avci added. Education Minister Anna Ekström stressed, while refusing to comment on individual cases, that the Social Democrats previously had decided to work on "freeing the Swedish school system from confessional elements." "My principle attitude is that in a Swedish school, teachers and principals will get to decide and not priests. No student shall be exposed to religious influence at school," Ekström told Aftonbladet. The daily newspaper Expressen chipped in with an opinion piece stressing that this is not a freak occurrence and that Sweden's "let-go liberal education system" was "indiscriminately" letting in all kinds of religious communities and sects, including the Plymouth Brethren and Scientologists. The Borås municipality voiced its dissatisfaction and pledged to take the matter to the Supreme Court.